Anyone remember these hideous things from last month? They had this gritty texture on them similar to sand paper. After about 2 seconds of scraping I figured out if I soaked them the gunk came off quicker. After I got all the yuck off them I washed them and let them dry. Spray paint! Two coats of Flat black followed by a coat of Oil Rubbed Bronze. Yes, that is a vinyl sticker (you guys are just too sharp, aren’t you?!)! First I figured out where I wanted them to go. And then I just applied the vinyl. I’m getting excited just looking at them and they aren’t even finished yet!! Just wait for it… these are so cool when I’m done!! I love how I spaced out the numbers on the tins. 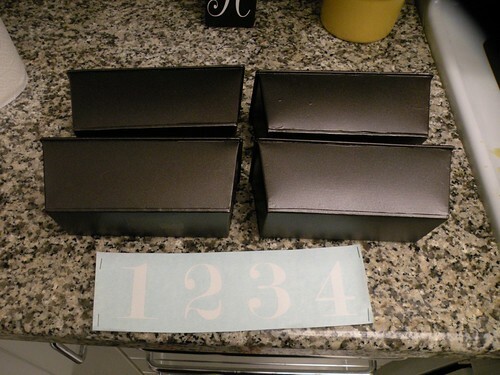 The 1 is on the far left, the 4 is on the far right, and the 2 and 3 are off center. 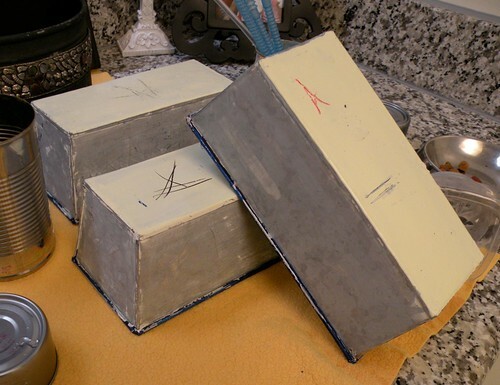 Each tin needed a block of foam. 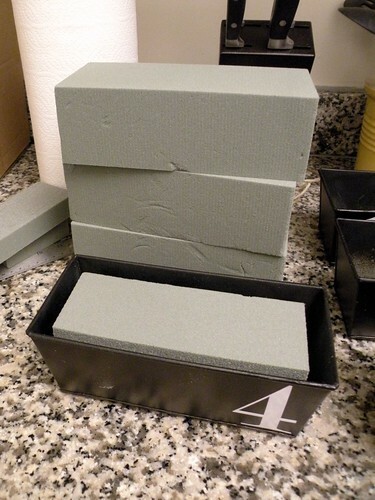 I cut each piece of foam stuff to size with a bread knife. If you follow me on Twitter or Facebook then you KNOW I’ve been thrilled about my fake wheat grass. I talk about this grass all.the.time. (well, that’s all relative though, isn’t it?!). I figure it’s an investment because I love the end result so much that I plan to keep these around for YEARS. 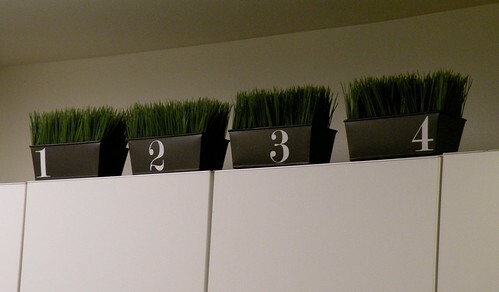 Next I cut each square of wheat grass to fit. I didn’t even use adhesive. They are just sitting there. 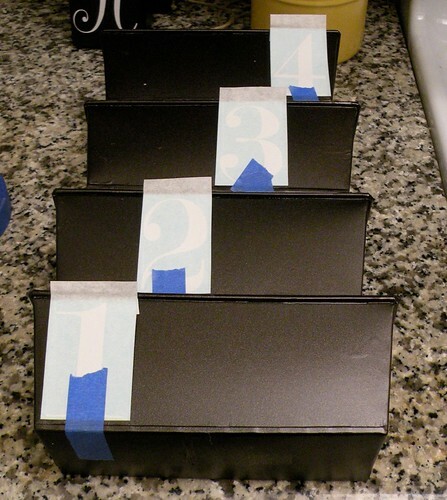 I know exactly where I want them to go – on top of my kitchen cabinets! Okay, I’m dying. I outdid myself. Even I didn’t think these would turn out THIS. AWESOME. 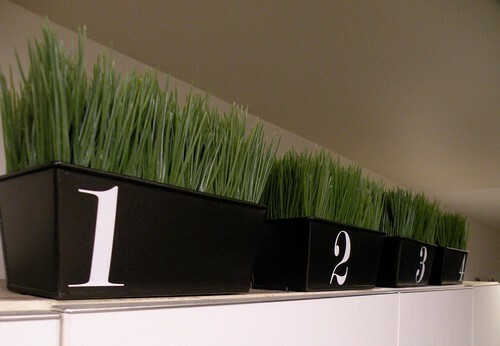 To rockin’ awesome wheat grass containers! Would you even believe those containers could look so good if you didn’t actually see it for yourself?! Welcome to my new favorite project!!!! (Sorry soap pump and cloche, you just got bumped). Those look great! Where did you find the containers? I love seeing how you think outside “the box”… I think I must pack my box around everywhere I go since I have such a hard time getting out of it! (Have ‘box’ will travel… 🙂 Such a clean but very cool look for the tins! Fabulous! I would have never thought about “wheat grass”!! Very cool! And I love the ORB finish! Seriously, can you bring your spray paint to *my* house?! Love the tins, *love* the plastic wheat grass! ORB does it again. These look great! Very cute! I love the numbers. these are soooo cute! 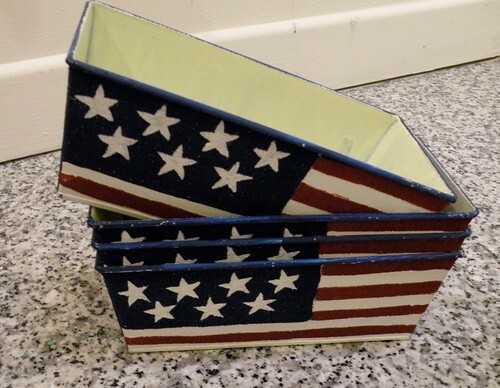 i am totally not into the americana thing either. your version is so much better! i also lov ethta you used fake wheatgrass, since that is something even i can keep looking alive! great job- hopped over from all thingz related! Looks awesome! Way to go! I am always amazed by your work! Thanks for linking up. Ugh, I hate to be the bearer of bad news, but there is somewhere you can get them cheaper! Like…$2 cheaper each! It’s called Save-on-Crafts. I use them for most of my floral needs. I find they even have better prices than Michaels most times. Hope this helps for your next project! dropping by from tip junkie 🙂 super cool idea with the wheatgrass! thanks for sharing! I love the new look of these! And the fake grass is perfect. Very nice redo. 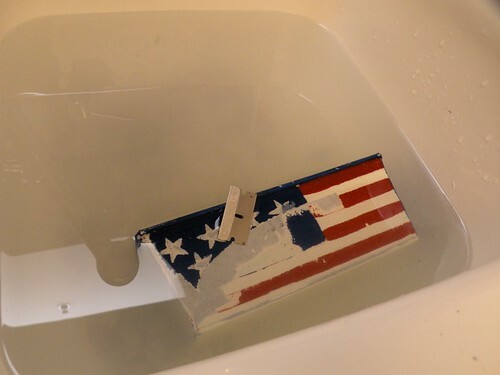 That was smart of you to scrape off that flag paint first. So cute! Love the way they turned out. 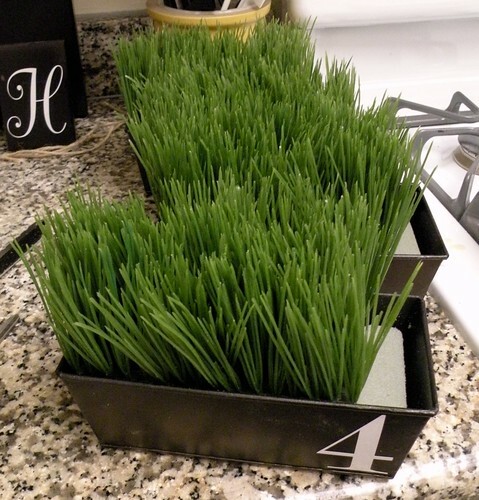 I found some fake wheat grass at Michael’s but was too cheap to buy it. I might have to go back now! Found you from NTT. Oh, I love the way the tins turned out. Love the color. Love the numbers. So cute. And the grass is perfect for them. I can see them used for a number of other things too. 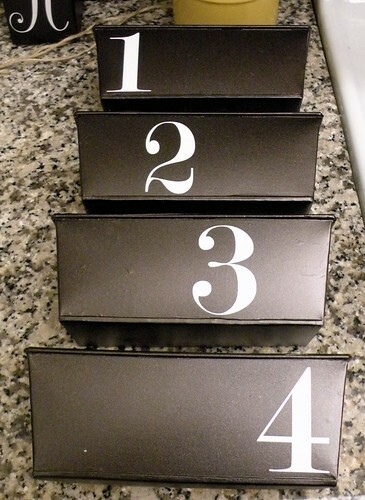 Great little organizers. You have some great ideas and tutorials. Thanks for sharing. Look’n good! Thanks for linking up to Mad Skills Monday! Good eye, Allison! Not too many people would have seen the potential in those. I love what you did! These look amazing! I finally got hold of some of that ORB!! So excited to find it! Thanks for sharing @ Anything Related! Very cute! 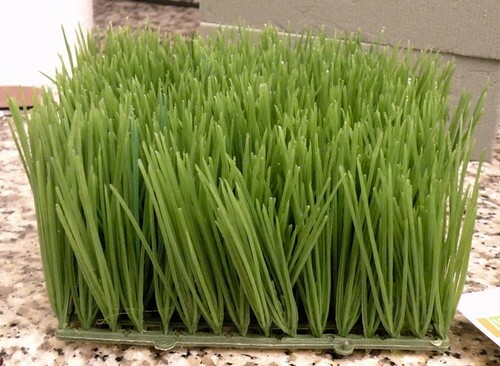 I had no idea that there was such a thing as fake wheat grass, but I’m lovin it! Thanks for linking up! Allison,I love these! They would look perfect on top of my fridge.. This is just what I need. Thanks for linking at my party, and for sharing this fabulous idea! 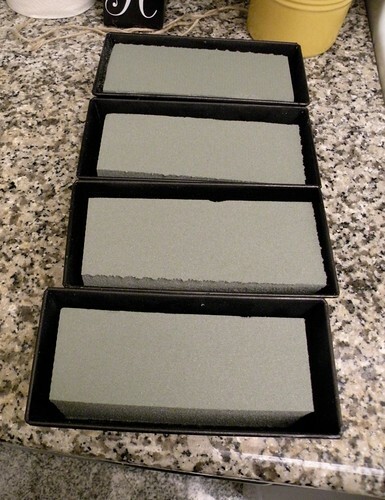 The wheatgrass fits perfectly and the color on the boxes are stellar! I <3 wheat grass!! I was at Jamba Juice this weekend thinking how cute the wheat grass was!! Thanks for the idea! 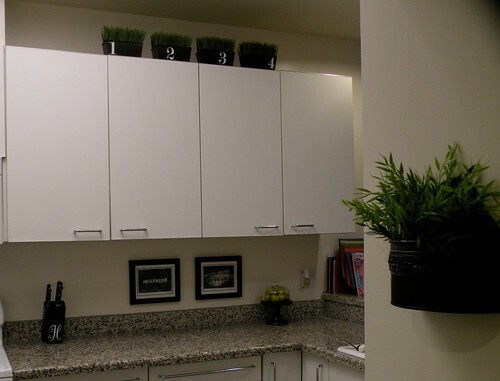 I love adding greenery to the tops of cupboards. I have some as well… although mine is not wheat grass. 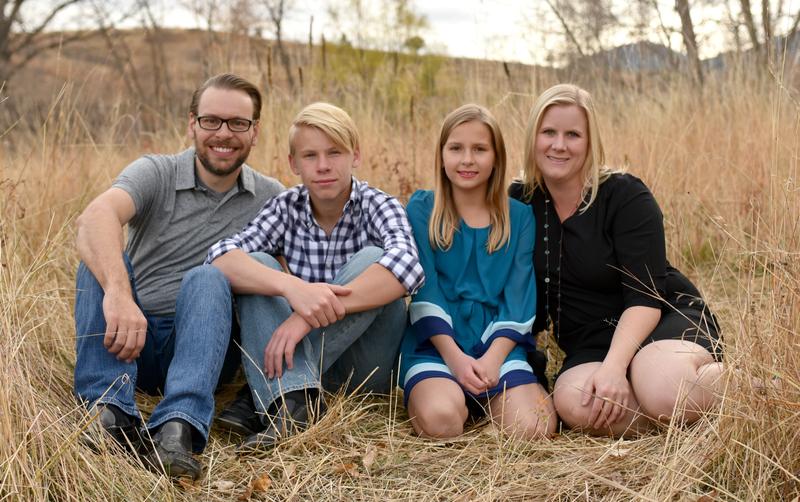 Thanks for linking up with Sugar & Spice! These look great! I can’t believe how much wheat grass costs? I wonder why. What a great project. Love the tins, they look great. 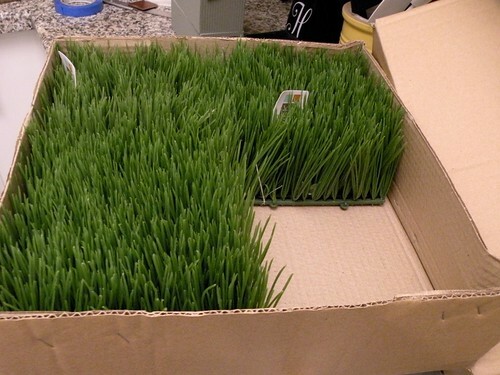 Of course I grow real wheat grass for my kitties, but the fake would need no watering! Cute redo, very stylish. I wonder if Dollar Store has any kind of wheat grass looking fakery that I can afford? Now I have to go look! How cute are those?? They look fantastic. 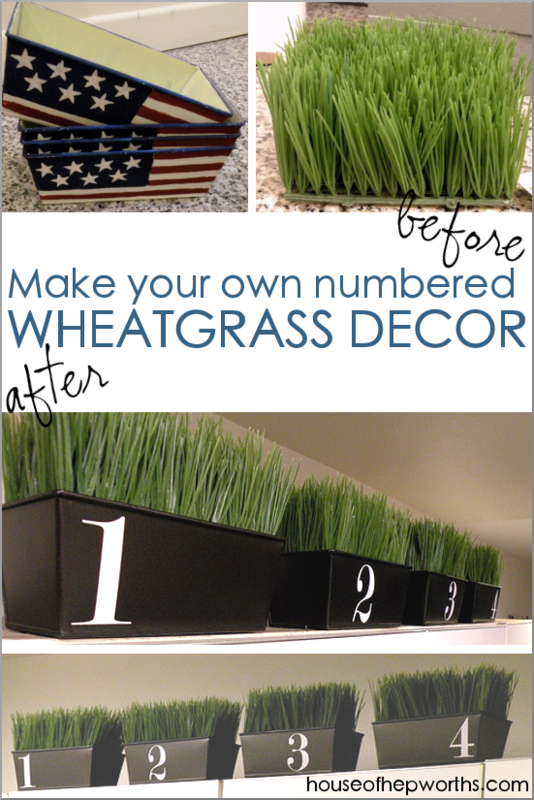 I admit I was already giddy when I spotted the wheat grass in the thumbnail. You didn’t disappoint! So clever! Love the number placement too! You are so right, it wasn’t cheap, however you CAN keep it forever. 🙂 Black and green rocks together! Too Cute! Those did turn out great! Thanks for linking up to my Flaunt it Friday party! Your wheatgrass tubs look great!!! Love them. Looks awesome! Love me some wheatgrass! 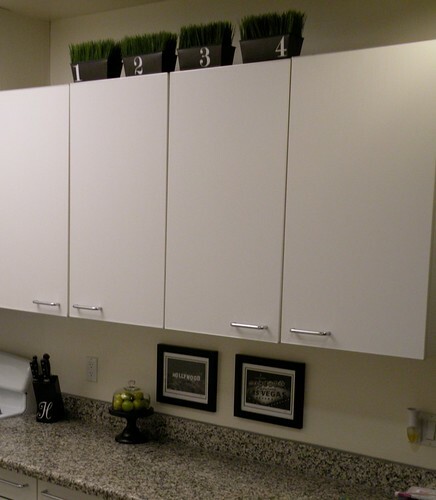 What a great idea to add a little green and color to your kitchen! by the way, your little monsters and expression icons are super cute too. Great project, and great way to reuse those containers! What a transformation! They look great, I like the numbers that you added to them. 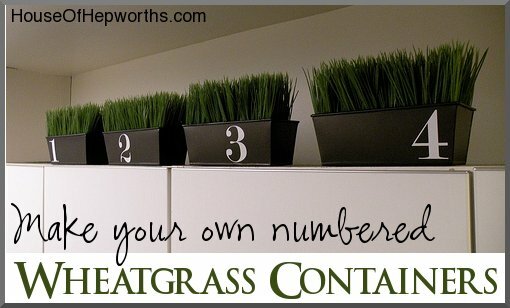 I have a wheat grass container that I bought at a garage sale almost identical to yours minus the #’s. I WANT FAKE whgeat grass!!!! Love the transformation! I’ve been going to plant “actual” wheat grass all spring… nope hasn’t happened yet. Just wanted to let you know that I featured these this week. These look cool, and since they should be easy to clean (rinse off the dust and reassemble) you can’t beat the look. Yet I have to raise a toast to real wheatgrass. That anyone can grow from wheat berries any time, any where, just by adding water. That needs zero sunlight or soil, because the fuel is inside the seed. That grows an inch per day and has a radiant spring green glow. That you can eat, or you can allow to go to seed, but baby you can’t keep it looking good because it is living baby grass sprouts. After an astonishing week of rapid growth, it’s no longer wheat grass, it’s on to a new stage toward its goal of making more wheat seeds. Wheat berries are cheap as anything at the bulk foods section of the grocery store. Just wanted to encourage anyone who’s never sprouted wheat grass, who could use an infusion of optimism (and maybe some nutrients) to try it out. I seem to love fresh young wheat grass too much to follow your route, but your grass boxes project does look good. Cheers. 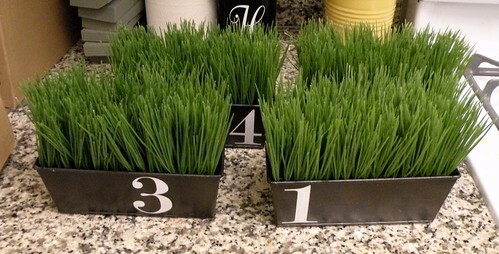 I’m going to try my hand at growing wheat grass this spring! But for the tops of my cabinets, only fake will work!